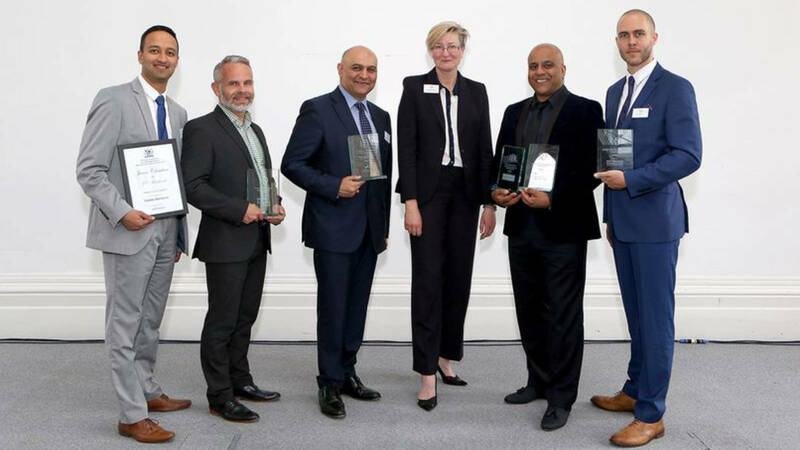 Morningside Pharmaceuticals Ltd’s Chief Executive Dr Nik Kotecha OBE has been named by the Institute of Directors’ as the East Midlands Director of the Year. Dr Kotecha also won the corporate responsibility and large company categories in the regional competition and was praised by the judges for his energy, drive and ambition vision in ‘making quality healthcare an affordable and accessible reality throughout the world’. He was presented with the Director of the Year Award by Mike Carr, Pro Vice-Chancellor of Nottingham Trent University. The winners were revealed at the East Midlands Director of the Year Awards 2017 presentation lunch at Nottingham Conference Centre, Nottingham Trent University. It was hosted by BBC East Midlands presenter Dominic Heale.